Peace Corps Director Ron Tschetter announced this week that the Peace Corps program in Guinea will be reopened and 19 former Peace Corps/Guinea Volunteers will begin returning this month. 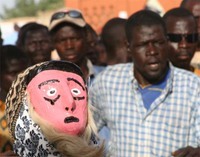 Additionally, Peace Corps/Guinea intends to welcome 36 new Volunteer-trainees in December 2007. These Volunteer-trainees will be working in the areas of business development, environmental education and health and HIV/AIDS. Over 1,200 Volunteers have served in Guinea since the program opened in 1962. 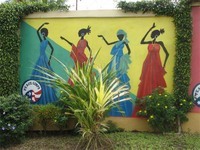 The U.S. Embassy in Conakry issued an ordered departure for U.S. Mission eligible family members on February 12, 2007, due to a strike and civil unrest, and the Peace Corps/Guinea program was suspended temporarily. On April 10, 2007, the U.S. Embassy lifted the ordered departure and Peace Corps reevaluated the suspension.